Nice place to spent your vacations, really clean, "
Everything over a was pretty good." 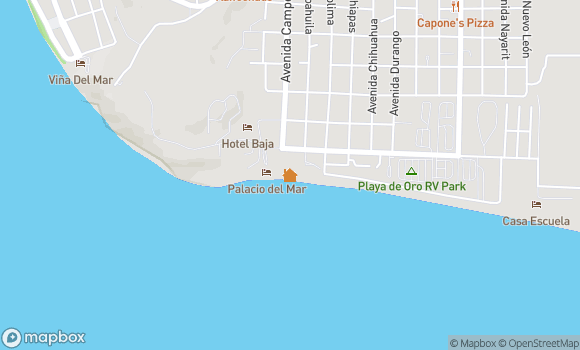 Over the years we have rented several of the units along Mirador. This is not one that we would recommend. We had a long list of things that needed improvement but will shorten. This unit needs TLC!! The water supply hose and the shower head in the main bathroom both sprung leaks the second day of our stay. (A trip to the hardware store took care of the issue. Not something we wanted to wait on.). There was a heavy rainstorm mid-week. The rainwater filled the mini patio by the master bedroom and came in under the sliding glass doors. The runoff from the roof left bright red sludge on the front patio (from the tiled roof). The mattresses were hard. Minor annoyances - there are no coffee mugs or serving utensils in the kitchen, no larger pots and pans. We will rent in this area again but will avoid this unit!!" We probably would not rent this unit again. The electricity was unreliable. Frig went off overnight, the garage opener would work for a few hours, so we couldn't get the car in and then couldn't get it out. One electrical plug in the small bedroom was burned out and looked dangerous. Baseboards were broken and dirty. The whole place needed paint and more care. Not worth the money." Luna y Sol has been on among the condos we reserve for years for family trips. I know it to be the less upkept condo we have stayed in from previous visits however this visit was even more disappointing. Some caulking and paint along with a deep scrub and miscellaneous small maintenance would make all the world of difference in this condo. The patio door track is absolutely a disaster and almost impossible for anyone to open. The ants are out of control in kitchen. Not cool..... Theres no reason this condo doesnt show better pride of ownership :( I would recommend it only because of location if youre a 100% Mirador devotee like us." Everything that was in the add was there . The people at the office where great ." We had fun while we were at the vacation house, however it needs lots of repairs and/or upgrades. Also they need to fix the wifi...I was suppose to work on something and I couldn't due to the wifi no working. They sent someone however they couldn't get it to work. " The location of the condo and the A/C in the main house were the only things that were good about this place. The condo is old, outdated and didn't have wifi the entire time we were there. The bedroom by the garage had a freshly painted door (the worker was just cleaning up when we arrived) so the room had an overwhelming smell of paint then entire time. Every door and lock was very cheap and didn't feel like it was secure enough. We also had issues with the water pressure and toilets not flushing properly. Would not recommend this unit to anyone until some changes are made. I am not asking for this to be the 4 Season Hotel just for it to feel secure, have better water pressure and wifi so you are not cut off from the world." Good house I really liked it"
We were a group of law and grad students from the Phoenix area who decided to take a few days off and go to Rocky Point. To be honest, we were extremely disappointed at the service and the surprise we got at the end of our stay. First, when we showed up at the condo the cleaning staff was still working on getting the place ready. We had to wait for 30 minutes before it was ready for the new guests. Second, the garage door was not working properly, so my car was never truly safe. Third, there was no hot water in any of the 3 showers that are inside the property. Fourth, the neighborhood is not safe. Someone broke into the property while we were all in the beach and stole my purse, which contained my MacBook Air, U.S. and Mexico passports, driver's license, credit and debit cards, $200 dollars in cash, my purse, and even clothes. This happened in the middle of the day and I just feel this would not have happened if the garage door had been working properly. I filed a police report and even got an official document stating what had happened, but when I went to Oceano Rentals to discuss the issue, the staff member that spoke with me said he was going to bring the issue to the manager and the owner of the property, who is an American individual, but I never heard back from them. As much as I love driving down to Rocky Point, I will never stay in this area ever again and probably will not return to the town. Also, I wish the staff at Oceano Rentals would have been more proactive when I approached them for help. They should seriously consider hiring private security that makes sure the place is safe at all times. " We loved the location. It felt safe especially because it had a garage. But the house itself needs a lot of improvements. For example; the fridge has an internal leak which dripped water all over our food (we ended up keeping the food on the fridge door), the AC drips water right by the stairs (dangerous! ), the kids closet rod was down, the closet space on top was super filthy (don't dare look, ewww! )the sliding door doesn't slide as easily, the fan in the living room doesn't work and don't expect to see the microwave or t.v. pictured on the website(they should really update this). Oh and the music thumps all night long til about 4 am. We didn't care though, but if you want quiet nights then don't come to this beach. Overall we were satisfied mostly because we were only there in the mornings and evenings. I wouldn't go back to this particular rental (maybe I'll rent the next door neighbors house because of the location)"
The map needs improvement but it was a great vacation thank you!!" Not the best could be better. A C leaks keeps us busy cleaning the floors to avoid accidents. No water available in the bathrooms if anyone is using diffrent water source at the same time ??" Very nice and clean. Beautiful beach and condo, air conditioning unit was ice cold. We would definitely come again. " Great beach. Great condo for the dollar amount. right next to the club section, pink Cadillac, Ice House, and section bar/ club. If your going there to party and sleep during the day, I strongly recommend this place.We had blaring music until 3-4 am every morning, bass was shaking the windows. The beach was very nice and clean, with dolphins passing in the am, and a good beach atmosphere. The condo was cheap... and for the money it was very good. 3rd time to rocky point and I have very good luck with Oceano Rentals every time. The other places I have stayed (Beach wise) have been much quieter. But it was a great trip. " Totally run down property - doors look like they have been busted several times - good for campers - mattress in the main bedroom is comparable to sleeping on a row of wires - thank goodness the heater works because it is a very drafty place - fire place need some servicing to insure the smoke go outside when you burn some wood - all furniture are missing a piece ( probably 50 years old in very poor condition) - two out of four burners on the stove work, and forget the oven!!! This place has all the basics for survival but absolutely nothing else. " Very private family condo, we loved the fact of steping out of the condo directly into the sand and the ocean. Nicely ubicated if you want to relax and enjoy quiet time. Our group was made of adults and toddlers, we all enjoyed our stay. My kids 3 & 4 yr. Old loved it. A couple of things we were not satisfied with were the bedroom that isnt attached to the home,since it had no heating system and the nights were cold;warm blankets were available and that compensated for it. The other thing was the chairs to laydown and watch the sunset, two of three were broken, requested replacements, but they never made it. Finally, if wifi is important to you, this isnt a place for you. I wanted a get away from everything and enjoy myself, nature and family and this fit my needs just fine. Overall, I would reserve it again." The original condo we had booked was having electrical problems, so we were moved to #13 at Mirador. It was lacking the following items: toaster,broom (it was broken), hangers, patio table. My son received an electrical shock when he touched the shower knobs in the bathroom closest to the garage. The lock latch on the sliding glass door self-latched when we closed the door from outside, so we were locked out. Fortunately, we had left the front door unlocked. The mattresses were very uncomfortable." Mediocre at best!! Oceano room service couldn't get my condo ready until 9 o'clock at NIGHT! Wife and a 3 year old and we had no place to stay or go. Condo is so old and outdated, dirty and the Door! Let me tell you about the door situation- Dead bolts every where that dont work. 14 step process to get into and out of the condo. The door to the beach has no rollers and will not open. I am 6'3", 225lbs and I could barely open it up. The lock on the door falls down on you and locks you out onto the BEACH! Oceano claims they have remodeled and replaced the door but we have rented the unit next door several times and know for a fact that door has done this to every group that has stayed there. Beds are so hard the y might as well be concrete. NEVER AGAIN- I have been raised in rocky point going there 3-4 times a year since I was 8! Over 30 years and dont expect much. We are not snobby condo renters, just appreciate the basics- fair beds, clean and timely service - wont get that with this unit. Not sure if all experiences are the same with Oceano so cant comment there but can tell you the property just needs some tlc. good luck! " I wouldn't recommend this rental property"